Halfway there…and this challenge has been more than I imagined! 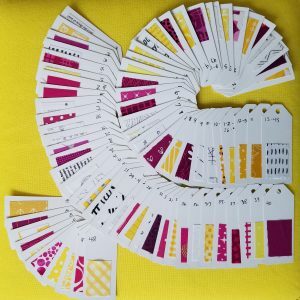 Back in August, Angie at gnomeangel.com announced on her Instagram account (@gnomeangel) she was going to be starting a sew along following Tula Pink’s City Sampler: 100 Modern Quilt Blocks. She tagged it #100days100blocks . I bought the book in 2013 and I figured this was my opportunity to challenge myself to complete all the blocks from the book. All 100 of them! Almost all of my fabric is in storage while we search for a house, so I wasn’t sure what fabrics to use. And when I say it is in storage, I mean it is packed into large wooden crates behind locked doors somewhere in California. I wanted to be able to use fabrics that are missing from my stash, and there are only two colors I know my stash is lacking; purple & pink. Honestly I haven’t sewn anything for myself using those colors since the 80’s…when pink was in and I paired it with every other color! I also wanted to be able to use my favorite color…yellow! It was the perfect duotone fabric for the idea that was hatching in my head. The only difficulty was finding the range of raspberry colors that matched the two tones in the sphere fabric. And shopping online can be tricky when trying to match that kind of fuchsia color. I didn’t want to end up with blackberry purples in my raspberry lemonade. 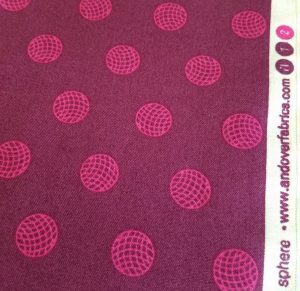 So I made a long trip to Fabric Depot in Portland with a swatch of Sphere in Raspberry in my pocket. If I could match at least 9 fabrics within the tonal range of that swatch I would go ahead with the #100days100blocks challenge. I made the trip to Fabric Depot on August 15th, the challenge was supposed to start on August 17th. I struck raspberry gold at Fabric Depot. At the end of my shopping trip I walked out with 12 different fabrics to go with Sphere in Raspberry. And I also found some new lemonade yellows too. So far I have used 79 different fabrics in 53 different blocks. I had one error block I had to redo and I made 3 different versions of block #20. 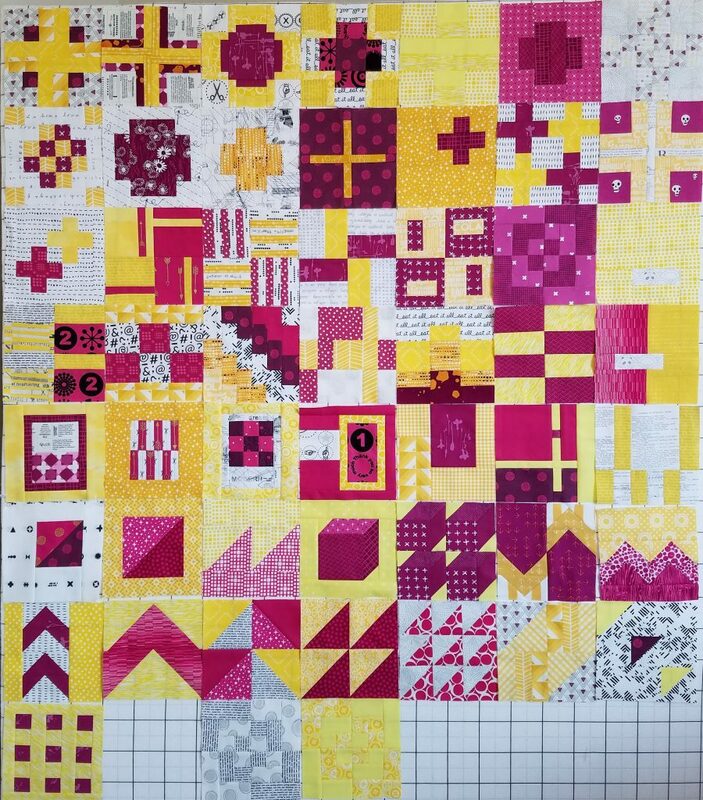 I have been using a swatch kit to keep track of the fabrics I have used in which blocks. This system has also been very useful to match colors when shopping local. Now I am to the half-way point of this challenge and I had no idea this challenge would be what it has become. It has become way more than a challenge to complete 100 blocks in 100 days. It has become a growth challenge for myself. I challenged myself to use new colors and combine colors in new ways. I challenged myself to stitch something everyday. I like to call this stitcher-cise. I challenged myself to look at new perspectives and revisit old ones. I challenged myself to stick to my choices. Are you working on the #100days100blocks challenge? 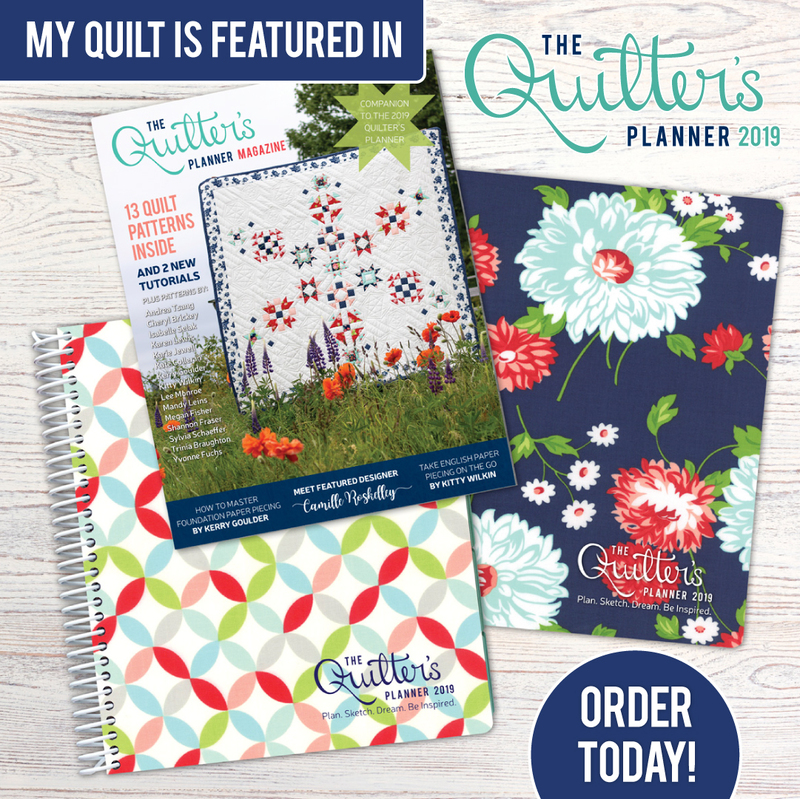 ← My First Quilt Magazine Cover!! What fabulous color choices! Beautiful! Those blocks are so bright and cheery. Thank you Jen! The bright is nice right now especially as the grey days of fall approach in the PNW. I’m taking part in #100days100blocks, too….and loving it so much! What is your instagram name? and I’ll look for you! I’m so surprised at how fast this project is moving along. It would be nice to know where everyone is from….I think most are Australian, I’m in Canada. Thank you Sandra…you can find me @penguinfeats on Instagram. I look forward to seeing how your blocks progress too!! Wow, quite ambitious you are and All the Best for a successful completion. Love Alison Glass fabric designs. 100 blocks is a tall order – you should be proud of yourself! It’s looking great. Thanks Carrie. I wasn’t sure I was going to be able to stick to the challenge, but it really has become so much more than 100 blocks! Very pretty, love the palette! Those swatch cards look mighty handy for keeping so many fabrics straight! I had a hard time concentrating on your post because I kept going back to the picture of your fabric swatch system. I mean, how neat is that? I’m feeling very itchy to go make one for my stash right now at 10pm on a Sunday night. It’s so awesome! And not to forget your colour choices are lovely. I love those versions of 100 blocks best that stick to a limited palette, so I feel drawn to yours. Oh Vicky that makes me laugh….I am so self conscious about my writing and am very happy to hear the photos are distracting from that! Thank you!! 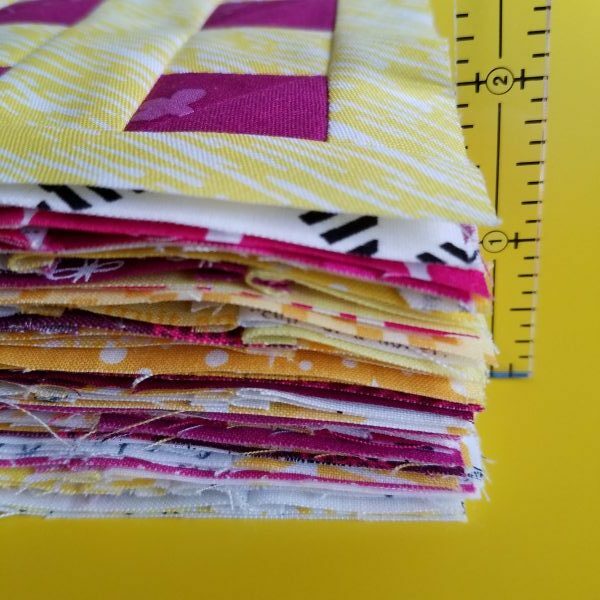 I love that swatch system…and so glad I decided to use it since there are so many different fabrics in the quilt and so many different blocks.